﻿ Hinn - Namm Hotel, Hua Hin / Cha-am | FROM $29 - SAVE ON AGODA! 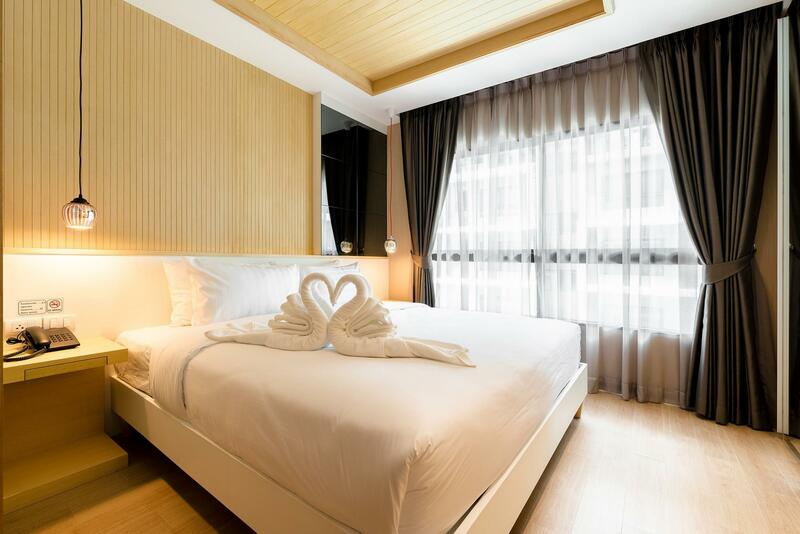 "Very nice hotel and will stay there when I go back to hauhin..."
Have a question for Hinn - Namm Hotel? 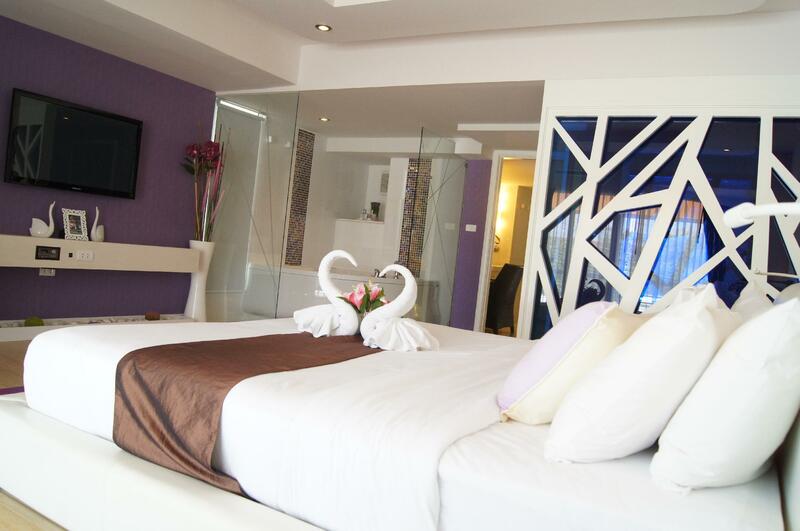 "It was very nice and clean, also loved the mountain view from our room." "Nice place to stay, stayed for 3 days, everything for the area is good." "This is a nice place, clean facilities, nice pool for adults and children." 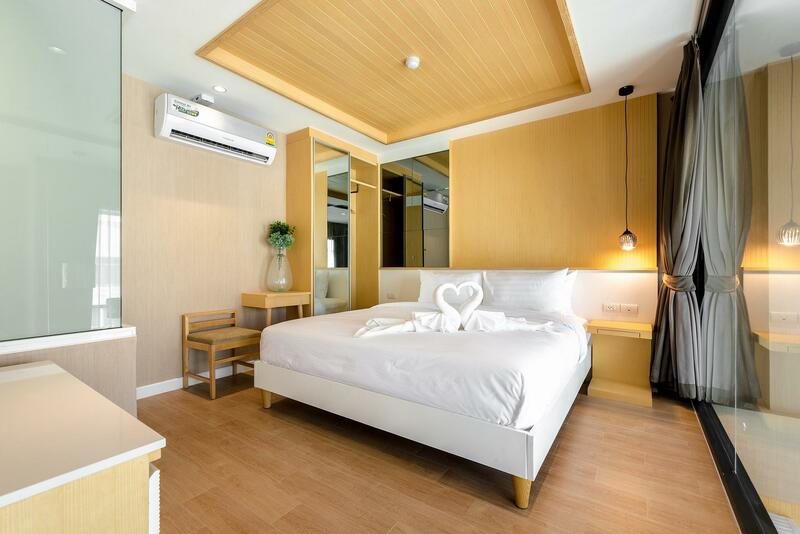 "Staff are very friendly, good choice for breakfast and nice..."
Located less than 5 kilometers from the center of Hua Hin, Hinn - Namm Hotel offers a convenient accommodation in a secluded spot away from the more bustling areas. With the beach only 300 meters away, guests can enjoy a casual stroll along the strip of white sand or go adventurous with the water sports on offer. 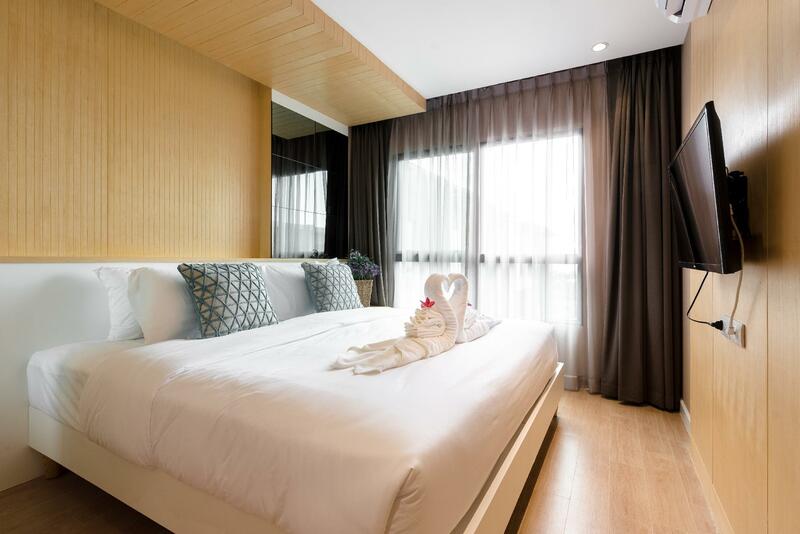 Family with children will appreciate the swimming pool with a kid's area, while business travelers can take full advantage of its fully-equipped conference room. After a hard day spent exploring or working, the casual discotheque goes a long way with a cozy place to sink in and enjoy a drink alone or with company. Versatile and reliable with professional service, Hinn - Namm Hotel is certain to suite any type of traveler's need. "Good environment & the hotel also provide shuttle van to nig..."
Children 0-3 years old stay for free if using existing bed. Children 4-11 years old stay for free if using existing bed, but will be charged half the adult price for breakfast. Children 12 years and over are considered as adults and must use an extra bed which will incur an additional charge. Stayed 6 nights here and was quickly upgraded after a complaint about cold showers.Staff good. Although a good 5 mins car journey from the centre the hotel was a fine choice to explore Hua Hin. There is a very odd nightclub in the basement with highly priced dancers who are totally disinterested.. When we check in to the room, there was a lot of mosquitoes in the rooms. We called reception and it took them 20 minutes to send a mate with a mosquitoes repellent to spray in our room. We have to leave the room for 30 minutes for the smell of the mosquitoes repellent to go away. Not very good experience after you drive 3 hours and you need a rest. This is a nice place, clean facilities, nice pool for adults and children. Rooms are clean and modern even though the hotel has been open for several years. It is a Agoda Best Seller so that says a lot. The breakfast is nice with lots of choices, on the weekends they have a full Thai and American Breakfast, on the weekdays just American Breakfast but you can order off the menu which is also included with the breakfast coupon. The hotel was in a poor location. Room itself was dated. Shower in bath, with shower head that was damaged. Bath was difficult to enter/exit safely. Light out in bathroom which to be fair was changed promptly but failed again the next day. On the plus side the staff were very friendly and tried to assist as best they could. The biggest negative is the location. Fifteen minute taxi bike ride to centre of town on busy road. On return by sontel which drops you of at opposite side of dual carriageway, you then have to negotiate the busy road. Stayed at this hotel as description said very close to DMK airport, but was still long taxi drive. Hotel dining rooms very expensive with no alternative places nearby for food. Dining room had cockroaches walking across floor. Staff not too interested, member of our group had badly chipped glass into which he took a sip and cut his lip. When told the waiter brought another glass and did not replenish the drink. The rooms are nice and new and clean in the new building. Pools are good. Be aware, however, that this is outside of town and you’ll need to take a taxi into the night market and restaurants etc. Also restaurants are limited around the hotel and the road in front is extremely busy and difficult to cross. There is no laundry service in the hotel you have to take it down the road to a man on a motorcycle. The shuttle service they have only runs to the night market at 6pm and 7pm and doesn’t run at all anywhere else. Beach is a drive away and the shuttle is left sitting parked and this service is not offered to guests. They could do so much better providing additional shuttle services for guests. Staff are friendly and accommodating. Had a few issues with the room but was upgraded quickly. About 10 minute by car to the Centre of Hua Hon. 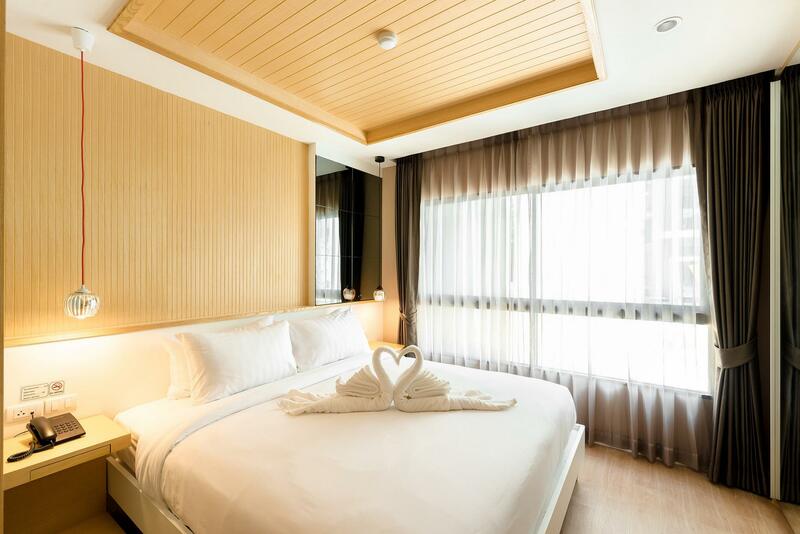 Spacious rooms which were well appointed and for 1000 baht a night is good value. Avoid the nearby bar as it’s exoensive and a rip off. Nice spacious room. Had to get the room sprayed twice for ants. Easy access to Tuk tuk to go into town. Only problem was on the way back there was no cross walk to get back to hotel. Could get challenging because of heavy traffic. Breakfast just O.K. Food was often cold. Very quick response from staff for any requests or problems that we had. This hotel located quite far from the town. But they provided a motorbike rental service. Early check in upon room availability. I booked for a pool view room but they upgraded to a pool access room and the room was big, spacious and very clean and cozy. There's a couch provided, with a microwave in the kitchen area. Two air conditioner and the bed was big. The staffs are really friendly and helpful. They even help me to communicate with the grab driver in thai language. The hotel also provided a day tour package with affordable price. Overall the room and facilites are amazing and highly recommended. Thank you to all the staffs. We stayed in the NEW BUILDING as I had read other reviews that said old building was not so great. Our room was clean and comfortable. There was a pool for the new building and a pool for the old building and the kids enjoyed using both throughout our stay. The breakfast was more than we had hoped. Not a five star buffet, but it had basic asian and basic western options. The taxi to market village or the night market was between 200-300 baht one way, so the taxi increases the cost if you are going into town lots. There was a nice coffee shop out front, a seven eleven convenience store across the road, and the beach was less than a five minute walk away (hotel would provide free shuttle to beach if you don't want to walk there). We paid 43 USD per night and at this cost it was worth it for us. We book superior room in new wing, quite good and clean. The only thing is the hot water heater got some minor problem and have to ask the service man to reset it. The breakfast is nothing to shout about, not very comprehensive, and very basic..ample of parking space and near airport. Went there for 1 night and would like to walk out since first at the Front desk. The staffs' service mind was non exist they were just so used to the Chinese tourists. The entire property was so old. The pictures were a pure lie. We found 1 used condom package under the bed(fortunately no condom in there). At 10:45 P.M. Chinese tourists who stayed next door came back and we heard every single conversation they had until 00:30 A.M. Planned to call Front desk to change the room because afraid my 2 children (4 &1 yrs) might woke up because of the noise but telephone didn't work at all. The line was dead quiet and I couldn't leave my kids in the room by themselves so just tolerated with the sound. We weren't even bother go for the breakfast here since everything in this property already made us felt so doubtful. 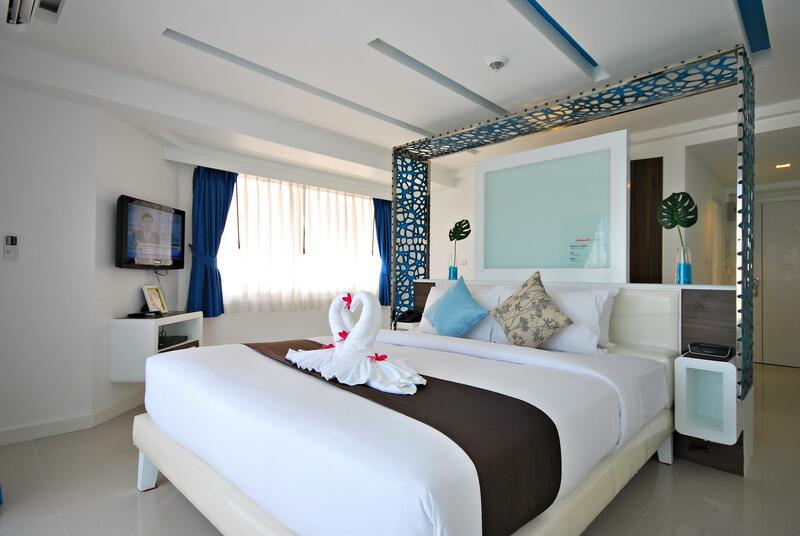 Was happy that stay there for 1 night but if I paid less than 1,000 THB will walk out since first saw the room. Unfortunately we paid 2,500. Go pick some other hotels!!!!!! Pros in the middle of hua hin and suburb or hua hin, nice decoration and good facilities Cons: the room i went is very dirty smelly and a lot of hair on sofa. I ask to change the room, the staff came up and let my choose the new room with not nice. Unfortunately the room that i chose is more clean and no smell but the warm water machine is not working. I have to shower with the cild water. I understand with the price but i think it should completely maintenance before let the guest use. Totally quite not impress. Pros: -We stayed at the new building so the facilities are really new. -The room is great, same as in the picture. Room is clean with a comfortable bed. -The staff are friendly and helpful. -Lots of parking space Cons: -the front desk did not actively pick up the calls from the room. -Hotel is a bit far from the city but they provide a shuttle to the market in the evening. Air con was like sharing a room with a jumbo jet. Rooms were dirty on arrival, previous guest hair everywhere, ants nest in the sink and what looked like blood stains on the bed headboard. WiFi just did not work - not sure how that can be possible in 2019 but yeah, stayed 3 days and couldn’t connect to the WiFi once. Building works on our floor, granted they seemed to start late and finish early but still, nap time for our baby went out the window. Other guests standing outside our door in the corridors chatting for a good 20mins or more at 10pm at night was enjoyable. Basically there’s a ton of better hotels for the money, don’t stay here unless you’re a Chinese tour group. 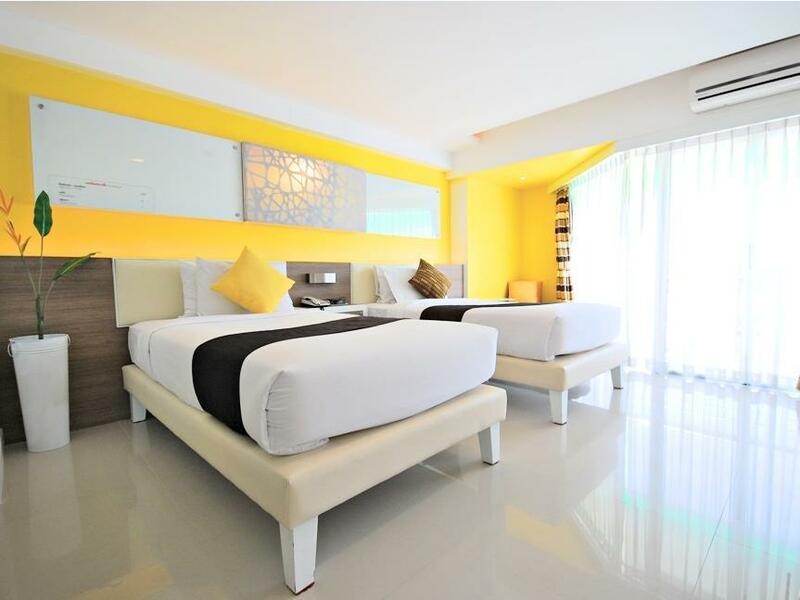 Fair for 1 night stay and close to the airport. I was given a room at the Sai Suay (despite a request from my booking for the new building). Sai Suay is old and run down and my bed had a tick. I took a video and showed it to receptionist. She was quick to change my room and acknowledged my request for the new building (which she admitted that she read but ignored). MAYSA is clean. Breakfast was okay.